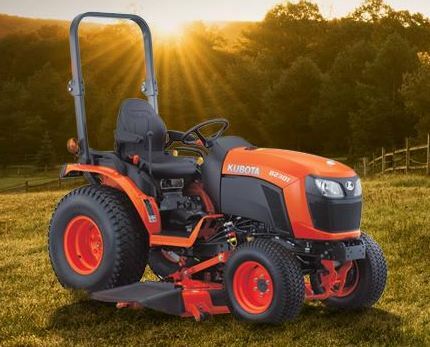 Kubota B Series | Rucker Equipment Co.
Take on everything from light construction to nursery work to small chores around the house with a B-Series 4WD tractor. With powerful new models and a host of performance-enhancing upgrades, the B-Series promises increased efficiency, power, and comfort – and delivers. Call 903-729-6951 or email Rucker today with questions or comments about the Kubota B Series. Rucker Equipment Company is committed to exceeding our customers' expectations by providing quality products and superior service, so that our customers can maximize their productivity and profitability. My Kubota zero-turn cut my mowing time by two-thirds. Absolutely no issues in more than two years. Love it! Outstanding people period. Wonderful service and top-notch sales and parts departments. Rucker is the best by far.